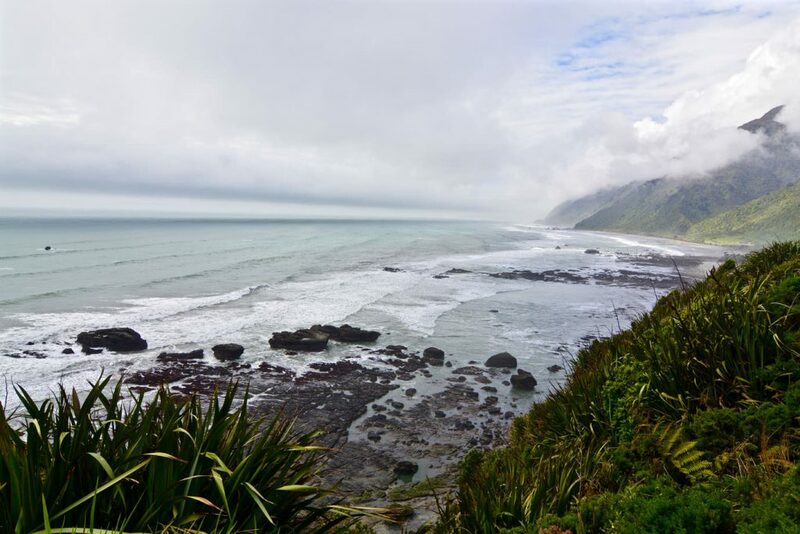 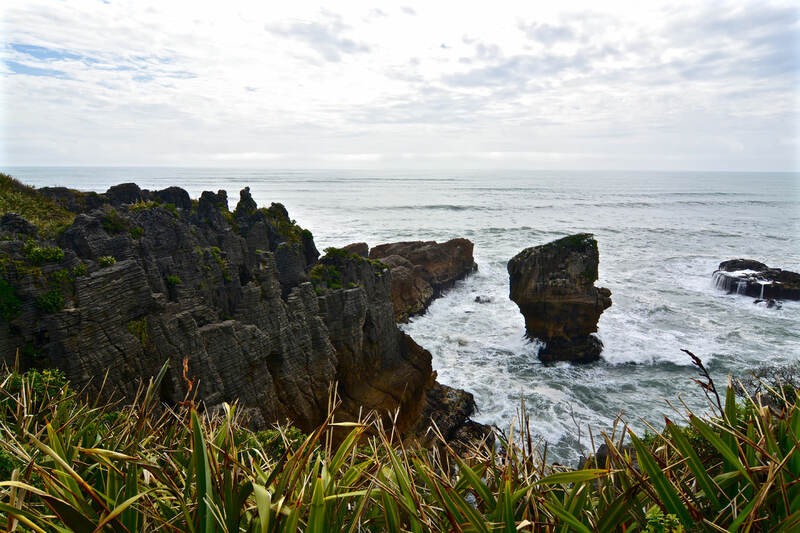 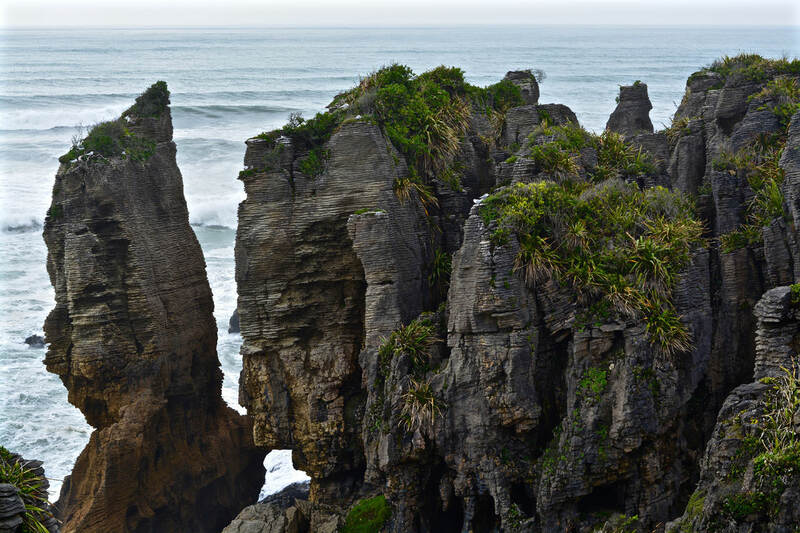 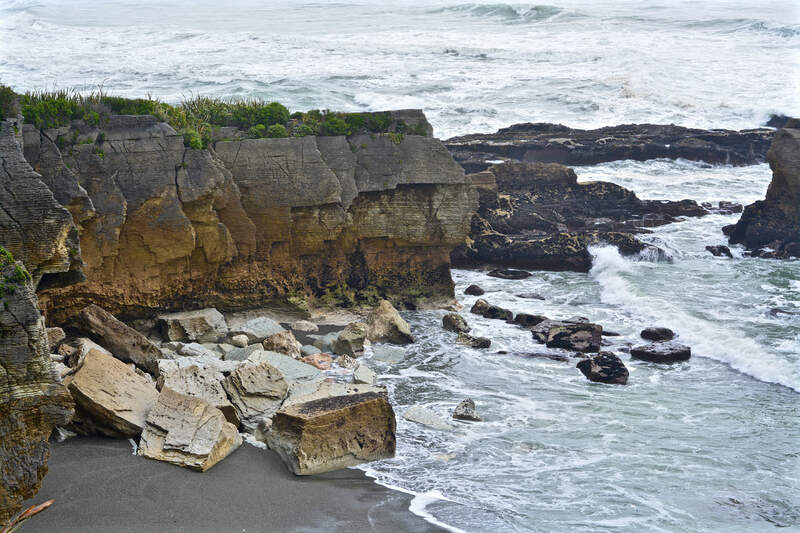 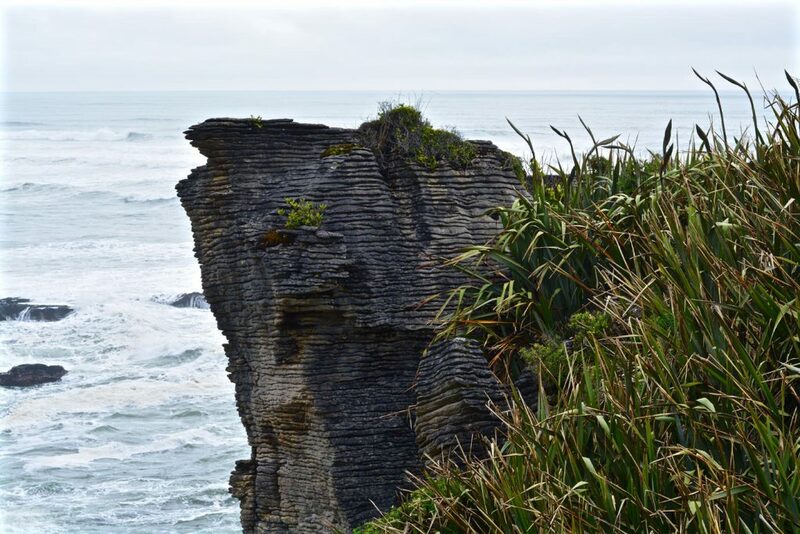 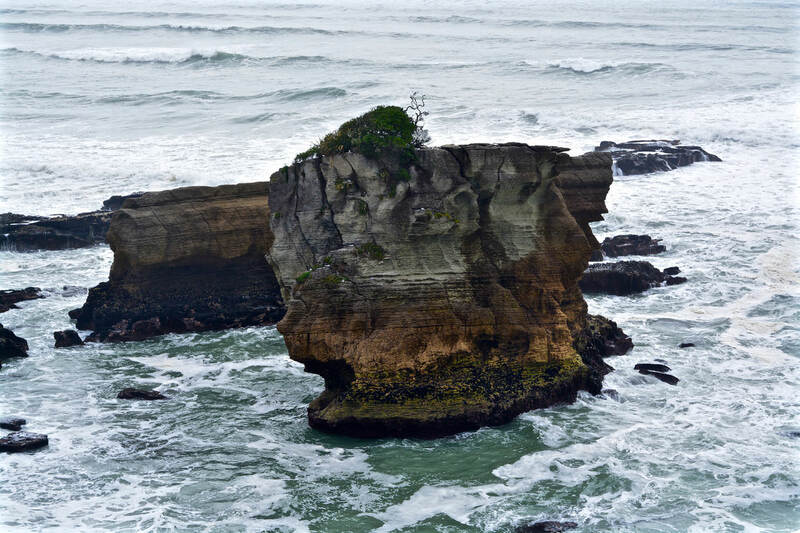 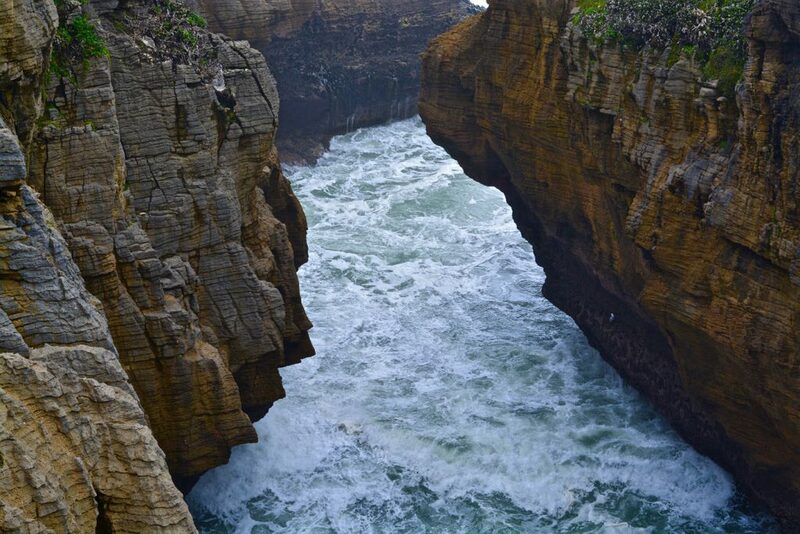 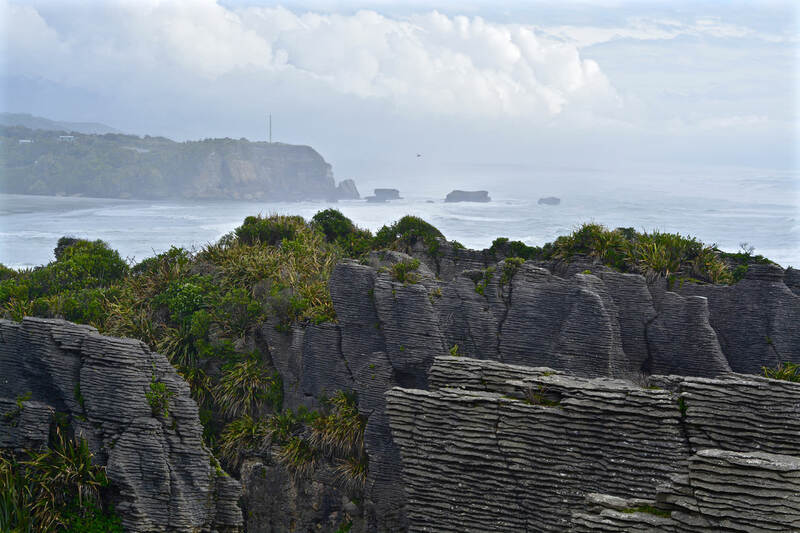 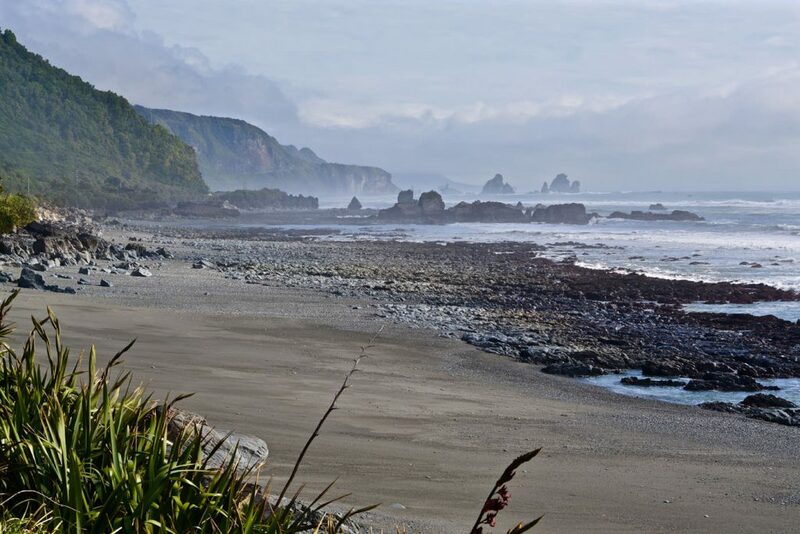 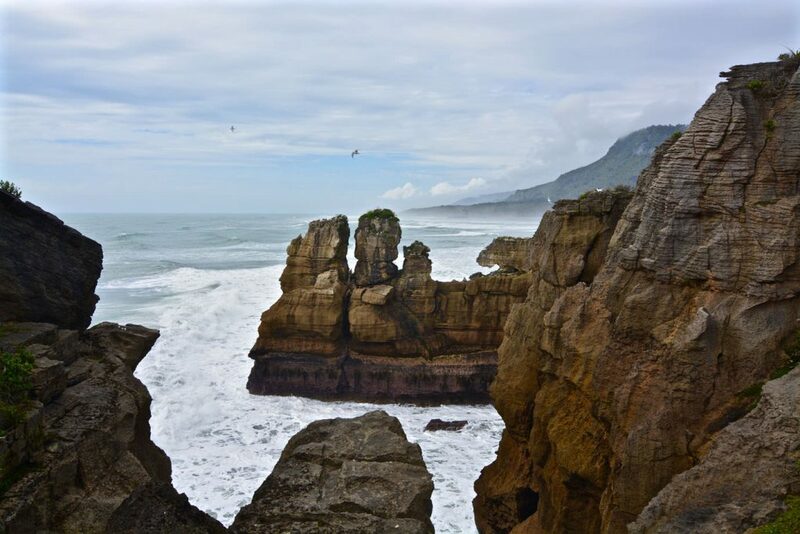 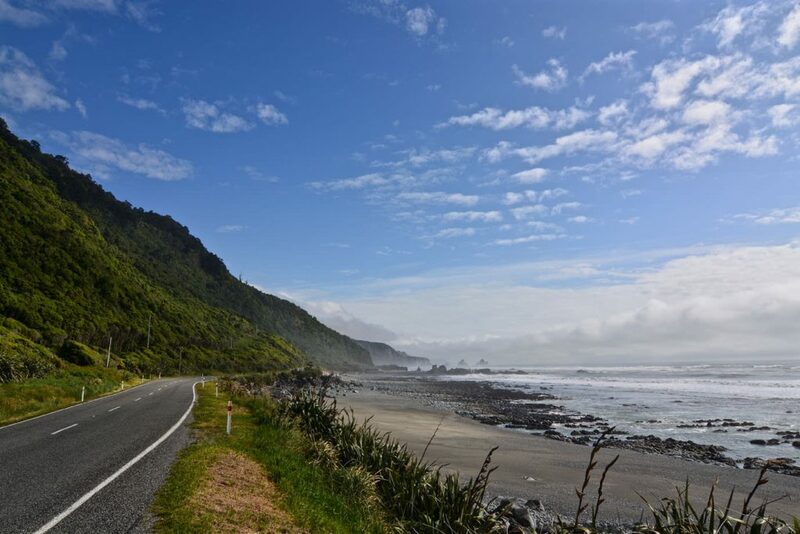 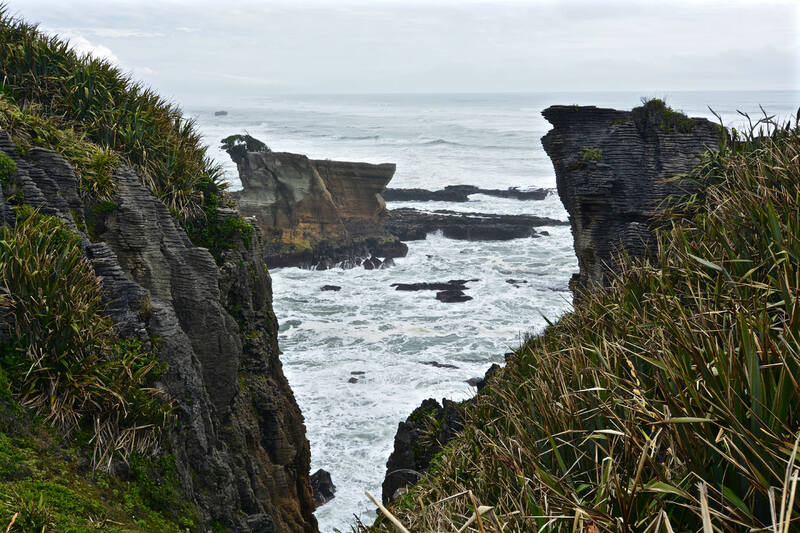 Pancake Rocks are situated next to Punakaiki on the west coast of New Zealand’s South Island. 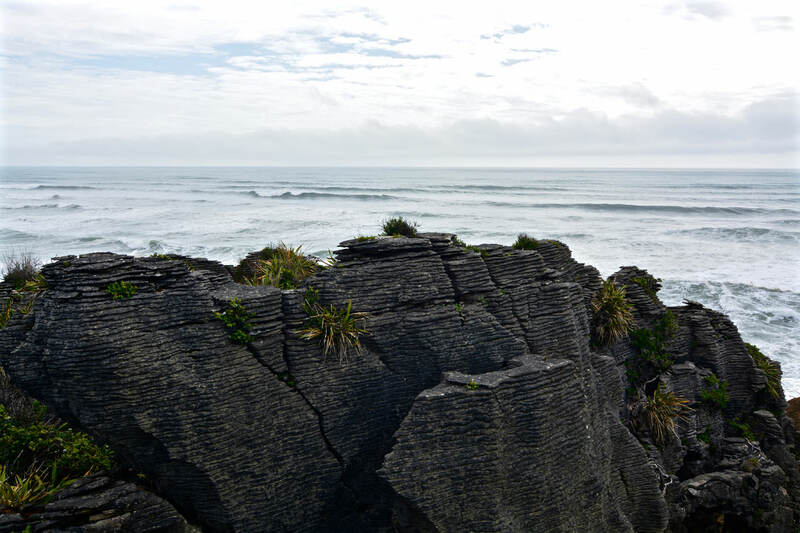 Over several thousand years sediments of sand and small marine creatures became buried and compressed on the ocean floor. 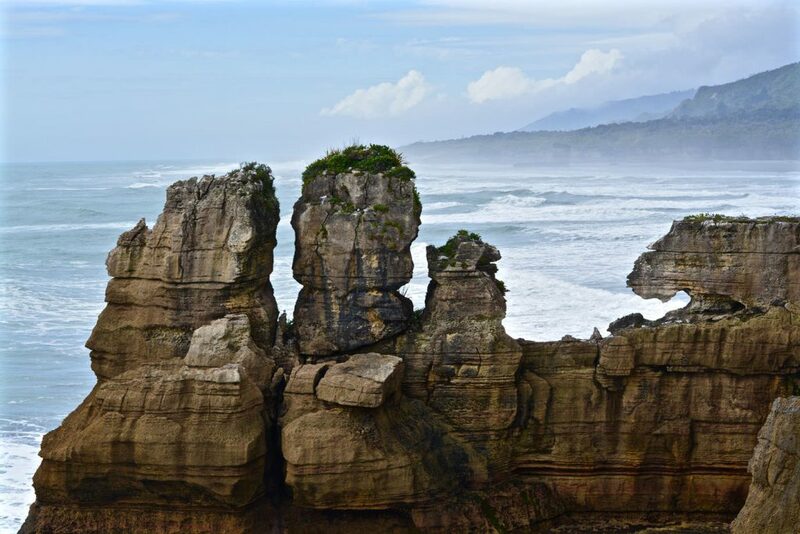 Started over 30 million years ago this resulted in areas with multiple layers of hard limestone and softer sandstone. 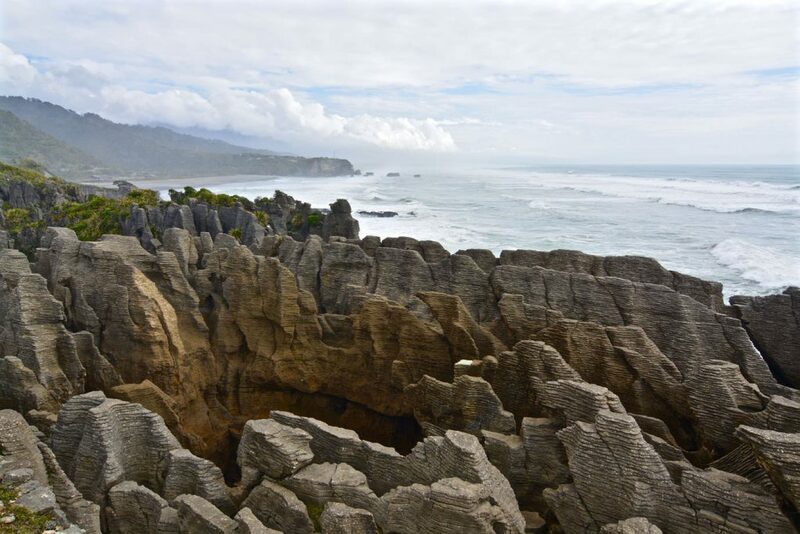 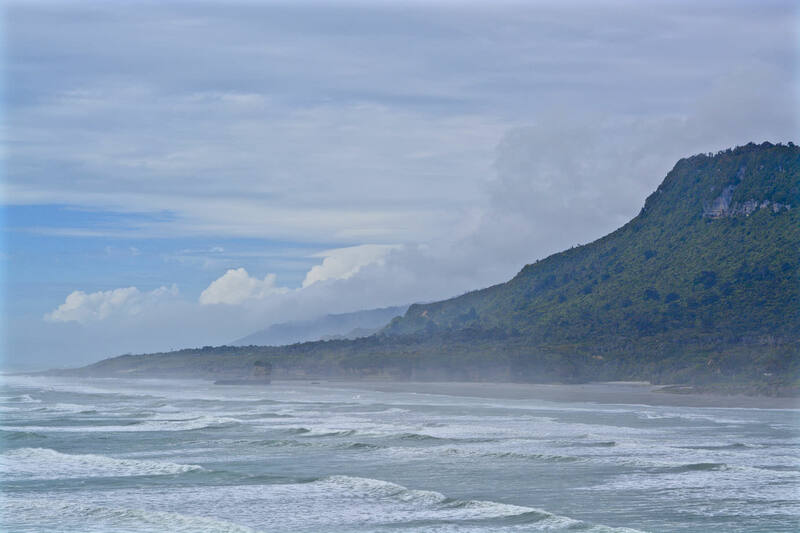 Seismic activity shifted the ocean floor high and dry. Finally rain, seawater and wind began to erode the softer sandstone and formed these exceptional shapes. 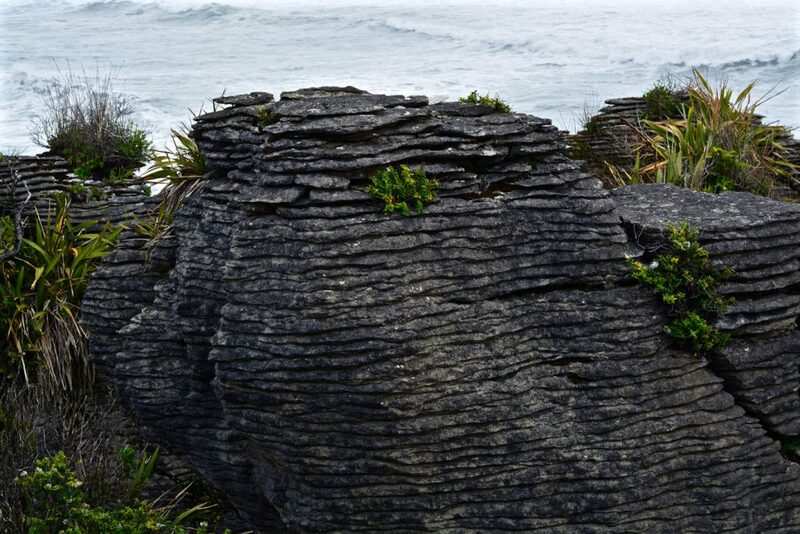 As the layers of sediments look like huge stacks of pancakes the cliffs were named Pancake Rocks.